Del Smith Insurance in Orleans, is a team of hard-working and passionate staff who will work with you to choose your best coverage. We always try to understand your unique situation, explain the policy to you, and help ensure you have the best insurance coverage at an affordable price. Read below to meet our staff. 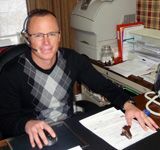 Chris began working in the office in 1994, after completing his university degree in small business administration. In 2005, he acquired the business and assumed the administrative day to day operations as owner and president. Chris continues to serve the residential, automobile, commercial, and travel insurance needs of his clients. Chris is married with two grown sons. He enjoys staying active and coaching at a local soccer club, where he also serves on their executive board. 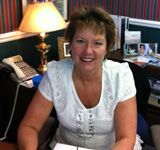 Donna has worked in the insurance industry since 1977, and joined our brokerage in 2010. Customers enjoy dealing with her as she uses her experience answering questions and helping clients with their unique needs. 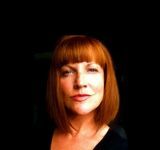 Donna enjoys reading, and when not in the office, she and her husband enjoy spending time at their cottage or travelling to sunny, warm destinations. Kim has been on the frontline, welcoming people since 1985. She processes policies and manages the office, helping to run the brokerage efficiently. She is also a licensed insurance broker, which enables her to handle any quick changes required by clients. Kim enjoys the company of her friends and joyfully volunteers in the community. 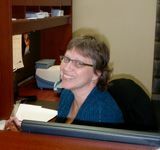 After completing her university degree and working in the public relations field, Kendra joined the staff in 1995. As part owner, she primarily helps implement administrative changes and supports the staff when called upon. She is also a licensed insurance broker. Kendra, along with husband and sons, enjoys sport, travel and helping in the community. It would be our pleasure to help you select the right insurance policy for you. Call today.